"Isabelle Thornton" Le Chateau des Fleurs: French obsession Party #3 and give away. French obsession Party #3 and give away. Welcome to the French Obsession party and give away! Today, you have 2 great prices! Second, You can win this CUTE bag! Malia from www.yesterdayontuesday.typepad.com is offering this Eiffel tower bag! 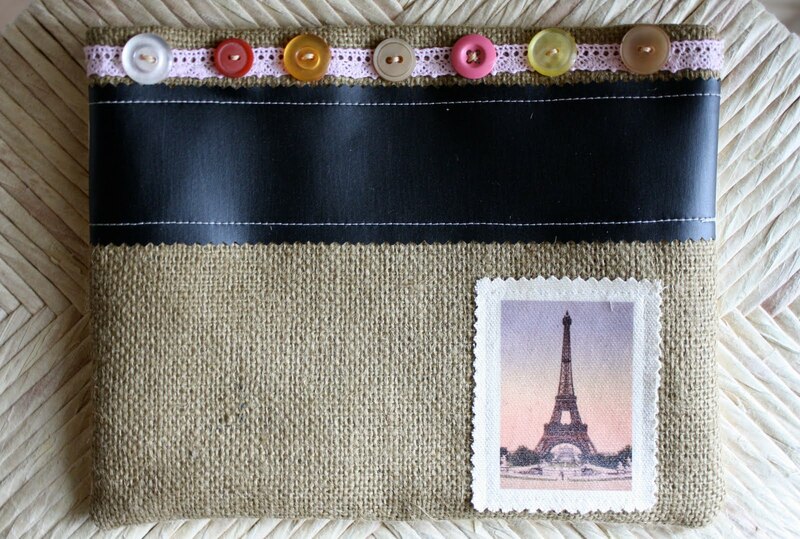 Bring a little piece of Paris and a dose of organization into your daily life! This Eiffel Tower Bag is handmade made from study canvas and burlap. Measuring 9 1/2 x 7 1/2, it's the perfect size for so many things. Plus you can personalize it! Bag includes wide strip of chalkboard material to help you note the contents and keep organized. Use and reuse as many times as you want. Bag stays shut with the help of handy velcro. Here is her Etsy shop also. Leave a comment, GIVE ME the blog/website address you want me to sponsor or say you want the bag if you don't WANT THE SPONSOR PRIZE....1 chance. Follow my blog on google follow or tell me if you follow me already, leave another comment....1 chance (i will follow you back too if you want) . Place the French Obsession button on your blog...1 chance. Twitter about this (twitter link on top of my side bar)...1 Chance. Talk about it on Facebook (Facebook link on top of my side bar)... 1 chance. Leave a comment for each things that you do up to 6 comments! I do not have a filter, so your comments will go through directly..Less work for you. My daughter will choose a number in my comment list to choose the winners. I will post the winner next Wednesday, June 9th. Link my blog on your post or post the French obsession button on your blog. How fun!! I would love the bag!! I am not sure what I would put in it yet - but I know I can find something!! The bag is so adorable! I want the advertising though for my cooking blog www.beanbasics.blogspot.com! This is going to be fun! I'd love the bag, and would probably use it for keeping things like lipstick, a comb, etc to throw into a summer beach bag. Oh, and I'm a follower, and I've linked back to your site. Hi Frenchy, Thank you so much for hosting another great party - I'm really happy to join in the fun! If you continue these monthly parties, I may have to return to france to refuel my stash of french memory collections...and wouldn't that be a shame!! Looking forward to seeing what everyone has to share! How do you find the time for all your wonderful posts. I would love to enter. MMM love. I gave you an award dearie! the bag is just wonderful and I would love the chance to win it. I have posted your button on my sidebar and of course have been a follower of yours for some time now. Today saw the start of the Normandie Festival of Impressionism, it's going on all summer long and will be great. 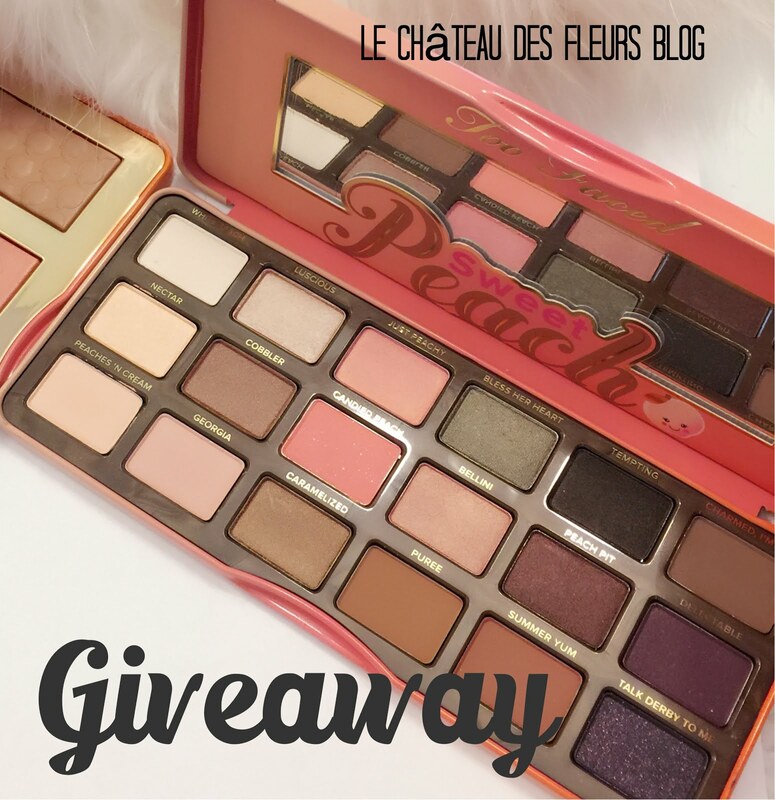 Hi there Frenchy: Please enter me again in your giveaway! I am alreay a follower. Ok, it's me again! Not sure if I am supposed to leave a separate comment for each entry in your giveaway. I am a new follower of Malia, so please enter me again! I already have your button on my side bar, so please enter me again! how adorable! i would love to own that cute little bag :) would be perfect for storing a piece of lingerie like you said! Yes Donna leave a message for each things you do. You get more chances. Up to 6 comments. Your blog is great! I want to participate for the sponsor spot! Thanks for hosting a party! I want to win the advertising space!!! So, I'm already a follower, have your button on my blog, tweeted your post on twitter, leaving a comment here of course and I'm heading off to follow Malia's blog! I get 6 of these?? I Follow daily! I would like the sponsor for my etsy store. I already have your button on my blog and I will post your giveaway on my sidebar. take care, darling! hello, thanks for inviting me over to your blog. I love it. I have now become a follower. Linked to a post on my blog and off to Twitter about it! Would love to take the cake's place! What a fun link up! I'd LoVe the ad space! Thanks for the chance! Leave 1 comment for each things that you do other wise it is too complicated for me and you could miss chances. I love your blog and didn't know that you have a challenge...so, I just posted...It's a Marie Antoinette tin. I would prefer to have the advertisement if my name is picked. AND, I want to say that I LOVE your red dress that you wore to the wonderful function! I left a comment about your blog + the link on my twitter profile. I am talking about your blog on my facebook profile. I had your button on my page. The bag is really beautiful, but I would prefer to win one month of advertising on your blog. Can't wait to see the result on June 9th. Have fun and all my best. I would love to win Malia's bag! It's super cute! And for another entry I am now a google follower of your fun blog! I'd love to be entered to win the bag! Thank you. I would love the sponsorship! for Remodelaholic! I'd love the bag :) It looks adorable! A new follower! Thanks for following me! Love the bag! Love all your stuff. I would love to have the top spot! Frenchy dear I would love to win the ad space but my shop is still in the works! When I win can I hold off till it's done;>) Love ya. Are you kidding. I've been following you around for some time. Already a follower. I made something yesterday that I didn't even think about with regards to this party, until I was reading another post and saw the party reminder. I've linked it up! Hi French: I'm already a follower! I would love the spot on your blog! Great giveaway! My URL is below. I already have your button on my blog! This is definitely my kind of party! I'm a new follower! Great party! I would love to win the advertising. love the frenchy inspired blog.